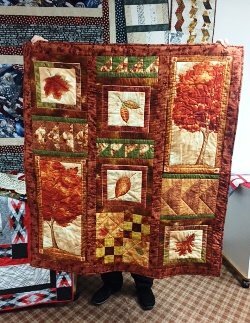 This is a great time to meet friends and see the great works of the sewers and quilters who attend. You keep posted on all things new at the Crafty Corner Quilt and Sewing Shoppe. If you purchased your Bernina from the Crafty Corner, there is no charge. Meets 2nd Thursday at 1:30 p.m.
You may still join this group. 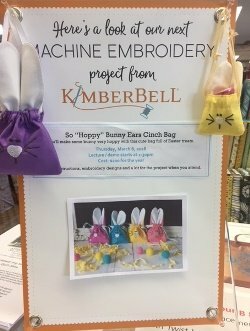 designs each month from Kimberbell.